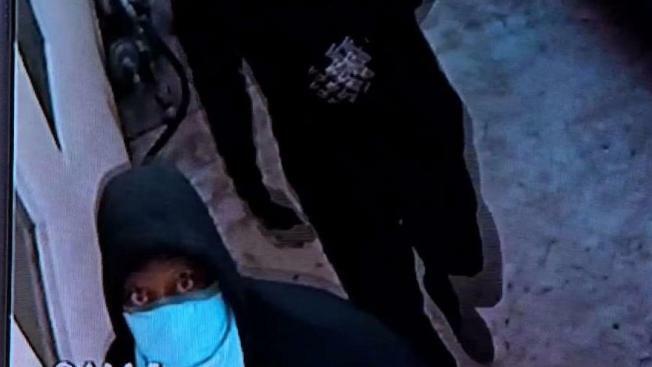 Deputies have released photos of three suspects connected to at least two home burglaries in and around Vista, hoping the public can help them track down the wanted men. The images were taken from surveillance cameras that spotted the men breaking into a home on Monte Vista Drive near Valley Drive last Wednesday evening. Deputies say two of the suspects were dropped off at the house about 20 minutes after the residents left, then broke a glass door leading to the master bedroom. The driver parked nearby and waited as his two accomplices stole a safe from inside the room, then returned to the driveway to help them load it in an SUV. The SUV is believed to be a black Hyundai Tucson with paper dealership plates. NBC 7's Ashley Matthews spoke to a homeowner as he watched security footage of burglars entering his home. The first suspect is described as a man between 20 and 35 years old, between 5 feet 4 inches and 5 feet 8 inches tall and weighing 160 pounds. Hours before the burglary, a neighbor reported seeing a man they did not recognize walking in the victim’s cul-de-sac. The neighbor took a picture of the man and showed it to deputies who said the man matched the description of their second suspect. Deputies described the second suspect as a man between 20 and 35 years old, between 6 feet and 6 feet 5 inches tall and weighing 260 pounds. The third suspect is described as a man between 20 and 35 years old standing 5 feet 10 inches tall and weighing 260 pounds. 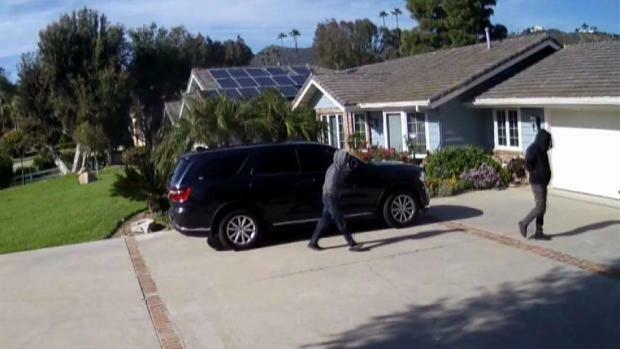 Deputies from the San Diego County Sheriff’s Department Vista Station believe the suspects are connected with another burglary in late April where three men used a similar entrance and escape strategy and were also caught on camera. That incident happened on a rural street off Buena Creek Road on April 25, according to deputies. 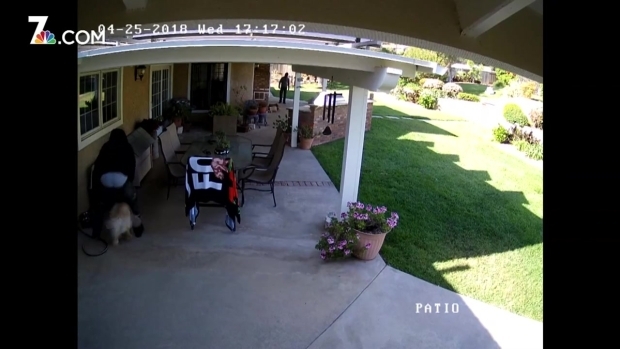 Security camera footage shows a group of "organized" burglars go in and out of a Vista home with rifles, handguns and a safe. Home surveillance video shows one of the suspects knock on the front door to no answer before he and another suspect went into the backyard and broke a sliding glass door. Rifles, handguns and a safe were stolen from the home. Like the May 16 burglary, the suspects were dropped off at the home around 20 minutes after the residents left, and the driver returned minutes later to help load a Dodge SUV with stolen property. At the time of the April burglary, deputies believed the suspects were connected to a string of isolated, high-end home burglaries across the county.